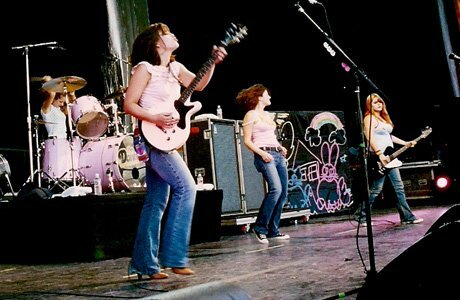 Photo gallery of members of The Donnas wearing chucks in casual and performance situations. 1 The Donnas Lead singer Brett Anderson rocks a pair of silver chucks. 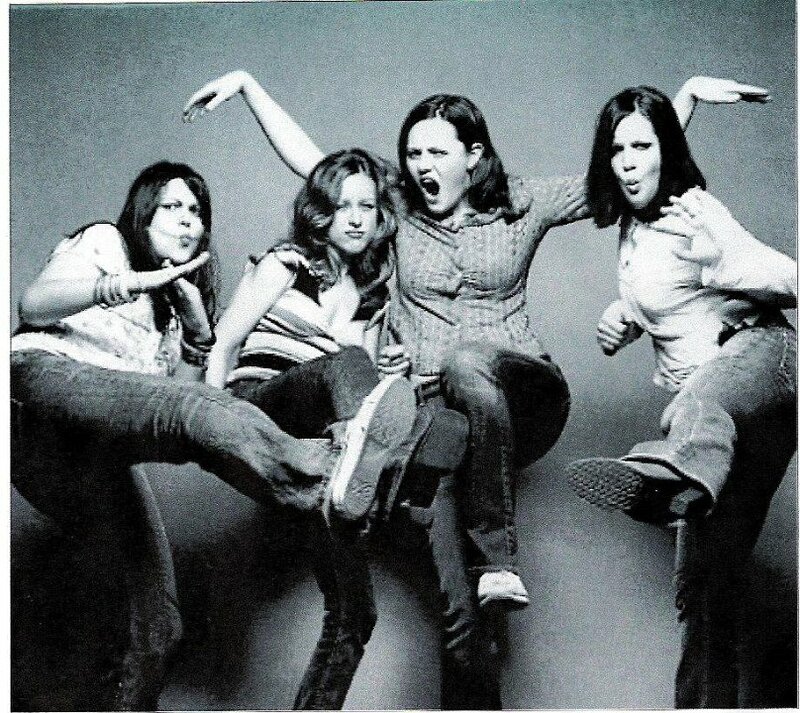 2 The Donnas Palo Alto rock band The Donnas show their fiery spirit. 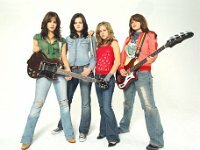 3 The Donnas The Donnas perform live with Anderson sporting a pair of black low-tops. 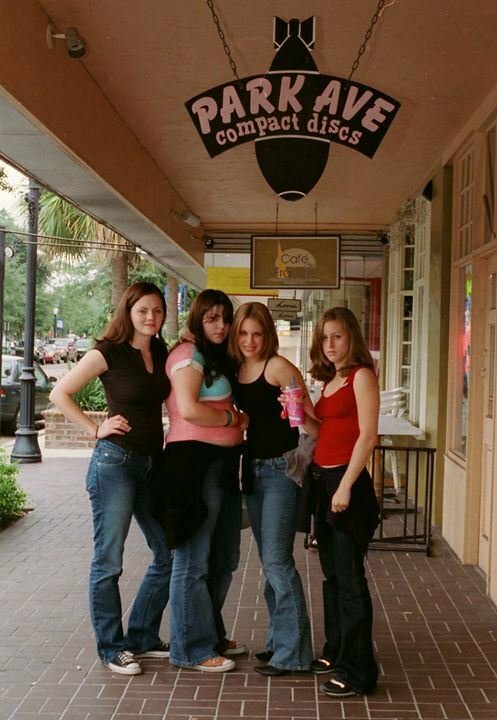 4 The Donnas The Donnas pose in front of a record shop in colorful chucks. 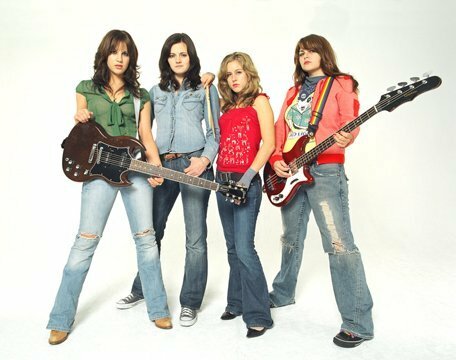 5 The Donnas Lead singer Anderson wears red chucks, contrary to the band's mostly black attire. 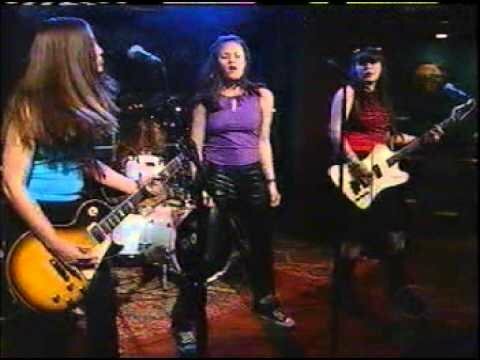 6 The Donnas The Donnas rock out live.